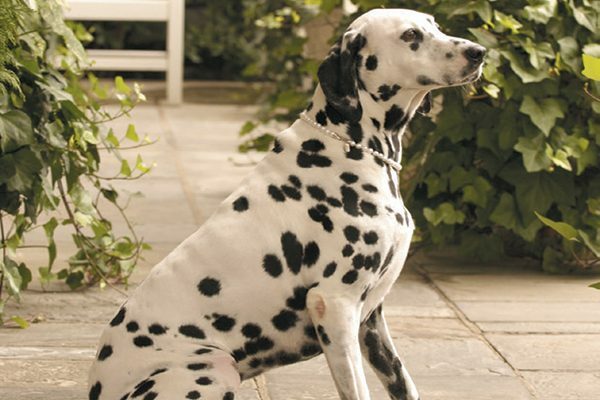 Luray the Dalmatian may be a newcomer to The Inn at Little Washington, but the 3-year-old rescue dog isn’t the first of his breed to work there. The staff gifted chef and proprietor Patrick O’Connell with his first spotted boy, Desoto, more than 30 years ago. A girl named Rose soon joined them at the Washington, Virginia, hotel. Rose wearing her pearls outside The Inn at Little Washington. Photography courtesy of The Inn at Little Washington. A pair of rescue Dalmatians, Jobe and Pearl, followed in their pawprints. Luray came next, arriving in May after a 10-year absence of four-legged employees. His name comes from the town in which he was fostered, after his original family could no longer care for him. “Meeting all the kitchen staff in their Dalmatian trousers made Luray feel immediately at home here,” Patrick says, referring to their uniform of black-and-white spotted aprons and pants. The Inn at Little Washington. Photography courtesy The Inn at Little Washington. On-the-job training has begun, and Robert Fasce, director of business and brand development at the inn, as well as occasional petsitter, reports that Luray is doing quite well. Luray will also say good night to those staying at the inn through a new turndown service in the works. It will include a card with his pawprint and a cookie shaped like a dog biscuit — for human guests, as The Inn at Little Washington doesn’t yet allow pets. There are plans to turn three cottages on the property into dog-friendly accommodations. Also a possibility in the future: a companion for Luray. “Everyone keeps saying he needs a companion, so that’s under consideration for sure,” Robert says. 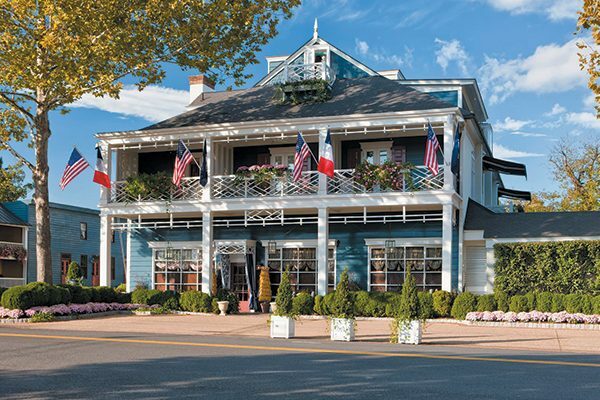 Thumbnail: Photography courtesy The Inn at Little Washington. Pamela Mitchell is a freelance writer specializing in pet lifestyle and retail. She lives in Houston, Texas, with her Boston Terrier, Spot. Friend her at Facebook.com/PamelaMitchell. The post The Inn at Little Washington Greets Guests With Resident Dalmatians appeared first on Dogster.